Looking for any Bean bag without Beans ? This [email protected] XL Bean bag without Beans is a giant bean bag chair featuring a high back and deep base for ultimate comfort and support, even for tall adults. 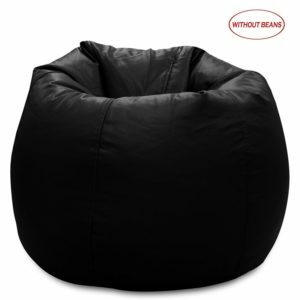 Amazon is selling [email protected] XL Bean Bag without Beans (Black) at Rs 299. So, hurry up! How to [email protected] XL Bean Bag without Beans at Rs 299? I want to know that who fill bean in this?